The travel plan was made at the last hour and as always I was left with a tons of operator to choose from. The search began immediately and finally the most veteran operator on the route was chosen, VRL. I booked the tickets on the 19:30hrs service on the day of the journey and ensured to finish all the work before boarding the bus. Since, I was traveling light took a bus to KBS and later walked towards Anand Rao circle. VRL’s Anand rao terminus was looking almost empty with a couple of Isuzu and sleeper buses waiting for their departure. At around 19:15hrs, a B9R honked her way into the terminal. I knew it was my ride and was all excited to board the bus. The bus was running full and a major chunk of passengers were boarding from Anand rao circle. As passengers began to settle down in their seats, the crew member checked in if all the passengers who were board and we finally honked our way out of the bus stand. Our next stop was at Navrang. Traffic as always was playing a spoilsport however we made it to Navrang on time and we picked up a couple of passengers and moved out immediately. We headed towards Yeswanthpur to pick up our next set of passengers. The passengers boarded the bus however we did not move. In the meantime SRS Scania and a Club Cass passed by us. Our wait continued further and after 25minutes, we started rolling. We pulled over at the last pickup point after Jalahalli signal. Here again our wait continued and after 20minutes a couple of passengers showed up. Finally, I thought we were moving but I was in for a surprise. The engine was switched off and both the crews were at the booking office discussing something. Finally, few frustrated passengers got down and starting fuming at the crew. The crew came back and after 30minutes of waiting, we finally moved. After almost 75minutes into the journey, we took the expressway and began to speed up as we headed out of Bangalore. I decided to get a quick nap and slept as the bus crossed the Nelamangala tollway. The bus pulled over at the dedicated pit stop off Tumkur. The place was filled with sleeper buses when we checked in. Needless to say but VRL get a full marks for maintaining this place in a top notch condition. Since the place was full, it was taking time to get the food delivered however the quality of the food and the pricing was just perfect. Since, the place was crowded the crew gave ample amount of time for passengers to fill up their empty stomachs. After 30minutes, we resumed our journey and within no time I resumed my sleep. I woke up to find we were between Karad and Satara and it was certainly not a good sight. We were hopelessly beyond schedule and was not was happy about the same. We pulled over for breakfast and were welcomed by an SRS Sleeper which had departed at 08:30pm and a Sharma B9R. The SRS sleeper left immediately and another 20minutes into the break, the Sharma B9R departed. After 5minutes, we began to move out and began to speed up to make up for some lost time. After 14.5hrs into the journey, we reached Katraj. We dropped few passengers and immediately reached back the highway. Enroute to the expressway, we tried to pick up few Mumbai bound passengers however none responded. The awesomeness of the expressway has no word to be described. The crew was is in no mood to waste any more time and floored the bus towards Mumbai. We were also joined by two Lamborghini cars which raced past us. We reached Panvel and with that the drop off points at Mumbai had begun. The newly setup Sion-Panvel toll way had blocked traffic for almost a mile on the other end. I was hoping it was not the same case on this side and my prayers were answered. We cleared the toll and headed straight towards Vashi. Finally, it was my time to get down and was dropped off at Chembur at 12:50pm. 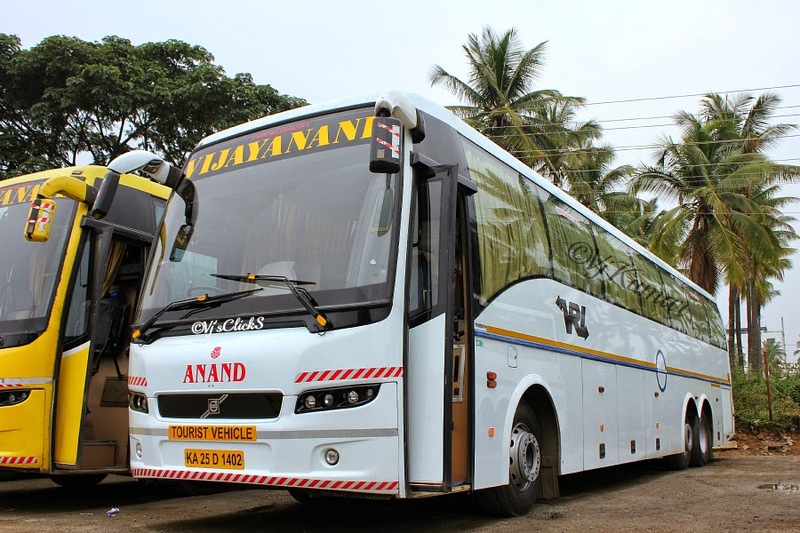 An awesome blog about VRL Travels, it was such a fantastic Online Bus Ticket Booking portal. Book your bus tickets and enjoy your journey.